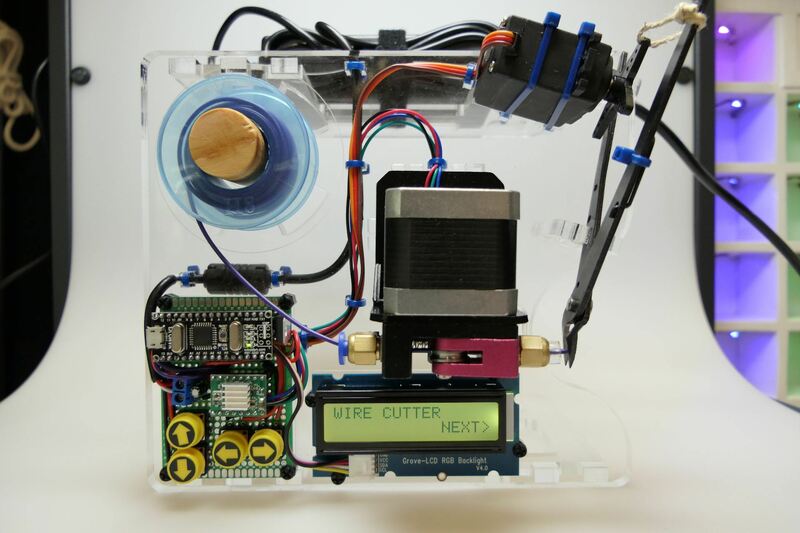 This week, Unleash Space is featuring one of our talented Creative Technologists, Hayden Moore, who has created an automatic wire-cutter using materials and equipment available in the Unleash Space Create and Maker Space. 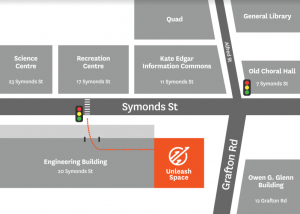 Last year, in his final year of a BSc in Computer Science, Hayden was a Creative Technologist at Unleash Space, where he played a role in helping set up the Create and Maker space, as well as conducting training sessions and running workshops. With a passion for electronics, programming, and fabrication, Hayden found Unleash Space the perfect place for making things. Hayden ended up spending every spare hour at Unleash Space working on his many projects, as well as being inspired by what everyone else in the space was making. Unleash Space has also helped Hayden in his career pursuits. While working one day at Unleash Space, he was approached by Spire Construction R&D, a company that was looking for a product developer. They were impressed by his projects and how he tinkered and offered Hayden a job! He is now working his dream job there as an Engineering Technologist, where he innovates, makes products, writes business cases, develops code and electronics, 3D models and plays around with interesting ideas. Hayden also co-founded Shwoop with a team of people with a diverse skill set. Shwoop is a startup focused on creating interactive advertising technology and “turning cities into playgrounds”. Hayden has been able to network with so many awesome people, had incredible opportunities, access to world-class technology, got a great job and joined a startup – all because he decided to walk in the front door of Unleash Space! Hayden’s automatic wire-cutter sparked from another of Hayden’s projects, an LED periodic table currently on display at the Create and Maker Space. This required hundreds of pieces of wire to be cut at exact lengths, an arduous task by hand, but by using the materials and equipment at Unleash Space, Hayden began creating an automatic wire-cutter to solve this problem. The end result of this creative process is a machine that allows you to automatically cut wire at any length you desire, and it was made right here at Unleash Space. Hayden is really happy with how it turned out. It works perfectly and is much faster than expected! See Hayden’s automatic wire cutter in action here. Hayden’s wire-cutter was made using a variety of equipment available at the Create and Maker Space. 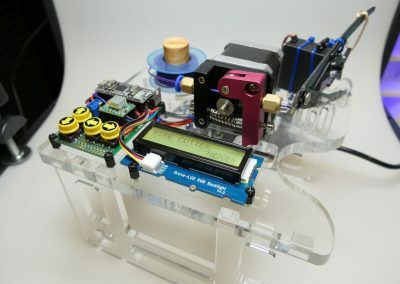 He used the laser cutter to create the acrylic parts, the vinyl cutter to create stickers for easy use of the wire-cutter, as well as other materials such as Arduino kits, LCD screens, buttons, wires, breadboards and much more. The laser cutter was used to cut 10mm acrylic to form a strong base for the components and legs to raise the base, allowing a container to be placed underneath to catch the cut wires. This was designed in a 2D design program called Inkscape. Hayden was especially impressed by the amount of detail the laser cutter can achieve. An LED screen attached to the base of the wire cutter shows the length the wires will be cut, as well as the number of wires you want cut. This can be controlled by buttons marked with vinyl cut stickers for arrows, which are attached to an Arduino Nano. An Arduino is a circuit board that can also be programmed with software/computer code. 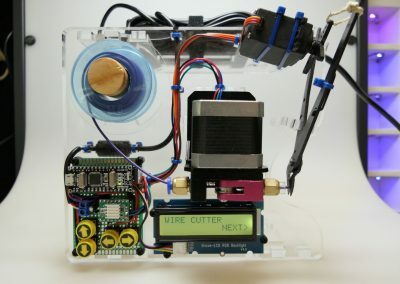 For Hayden’s wire-cutter, the Arduino controls the LCD screen, buttons, and the wire cutting component, which work together to allow the machine to cut wire to your desired length. A motor then pushes out the exact length of wire you requested and the wire is cut off with a pair of automated snippers. The CNC router was used to carve a wooden pin to hold the spool of wire, which was then attached to the base. Other components of the machine were attached to the base with bolts and zip ties. If you want to use our equipment for cool projects like Hayden’s, book your equipment training sessions here!